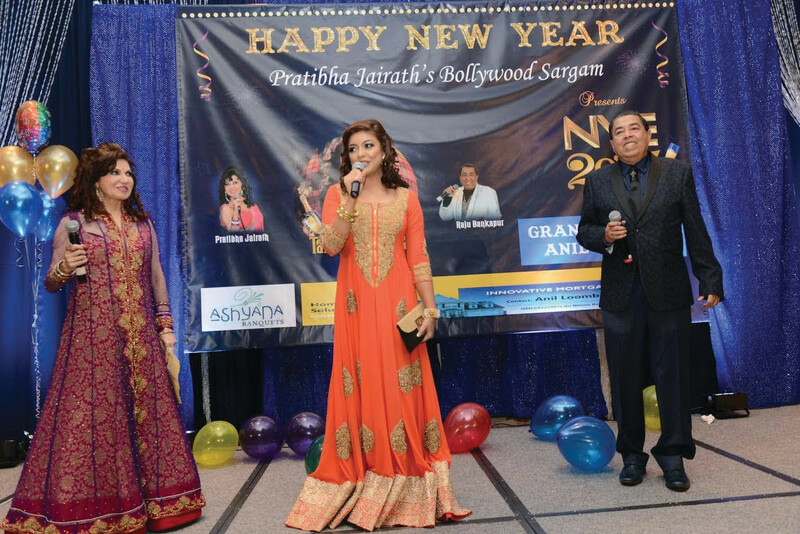 Pratibha Jairath’s Bollywood Sargam celebrated New Year’s Eve with fun and frolic to usher in 2017 at Ashyana Banquets, in Downers Grove, Ill., attended, according to organizers, by over 700 people. The celebrity guest of the event was Tanushree Dutta, a Bollywood actress, model and Miss India Universe 2004. As the doors opened at 8:30 PM, the banquet hall was at capacity within half-an-hour. The show went on until 1:00 A.M.
Anoop Walia welcomed the guests and started the event. The host of the evening, Pratibha Jairath, set the mood of the evening singing “Prem ratan dhan payo” and “Chittiyaan kalaiyaan”. 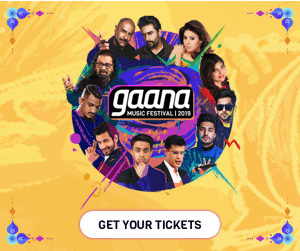 Later she was joined by her co-host Raju Bankapur and sang many duets like “Radha teri chunri”, “Badtameez dil”, “Tum hi ho”, “Tera bin jeena chhod doon”, “Chikni chameli”, “Baby doll main sone di”,” London thumakda” and “Make up kar liya” among others. The events success was evidenced by the the excitement inside the banquet hall, anticipating the arrival of Tanushree Dutta of Ashiq Banaya Apne fame. The hall echoed with applause when the Bollywood beauty walked down the stairs, according to an Asia Media USA press release. She greeted the audience as she walked up onto the stage. The evening was full of special games and surprises. A catwalk competition was conducted where Dutta taught catwalk to female audience members and announced two winners. Belly Dancer Christina set the dance floor afire with two beautiful performances. She entered the hall dancing and balancing big shamadan candelabra on her head that was a treat to the eyes. Party favors were distributed and the hall was filled with people wishing each other Happy New Year. The dinner was arranged at Ashyanay. It was a hundred-item cruise style dinner and top-shelf bar that was open from 9:00 P.M. until 12:00 A.M.
People sang, danced, and dined all through the evening into the late hours with nonstop music by DJ Abhi and Nupur Sound. Colorful balloon drop filled the hall with beautiful colors as 2017 was ushered in. Everyone gleefully greeted each other and the party ended at about 1A.M. on January 1st, 2017.